The NEXA extended warranty program gives the owner an extension and reassurance about the reliability and quality of premium NEXA vehicles. It offers safety and comprehensive protection to our customers that builds a long term relationship. So, you may enjoy the peace of mind with the option of extending the warranty period of your vehicle. * Days elapsed since vehicle sales. Note: - Prices are exclusive of applicable taxes. 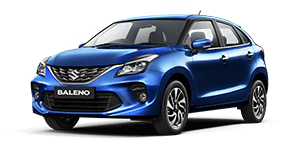 The Extended warranty registration form & the certificate of extended warranty registration forms a part of contract between Maruti Suzuki India Limited and the owner of the extended warranty of the vehicle as per the details mentioned on the extended warranty certificate. Default in getting the vehicle serviced as per the stipulated kilometers and time period as mentioned in the Owner’s Manual and Service Booklet. The vehicle must not have been used for competition or racing. The vehicle must not have met with accident. The vehicle must not have been modified or altered, including without limitation, the installation of performance accessories. 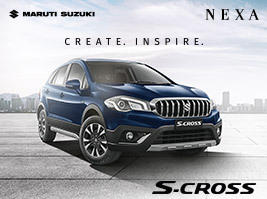 The vehicle must not have been fitted with any parts or accessories not approved by Maruti Suzuki. The vehicle must not have been assembled, disassembled, adjusted or repaired by other than authorized dealer/ service station. The vehicle must not have been used for purpose other than what it was designed. Any defects caused by misuse, negligence, abnormal use, insufficient care, abuse, flooding or fire. Use of improper, adulterated or insufficient or bad fuel, fluids or lubricants. Any damage or deterioration caused by airborne fallout, industrial fallout, acid rain, hail or hail storm, bird droppings and other Acts of God. Insignificant defects which do not affect the function of the vehicle including without limitation, sound, vibration and fluid seep etc. Any natural wear & tear including without limitation, aging etc. Vehicle retrofitted with LPG & CNG kits cannot be covered under extended warranty. Normal maintenance service required, including without limitation, oil and fluid changes headlight aiming, fastener retightening, wheel balancing, wheel alignment and tyre rotation, cleaning of injectors, ignition timing, clutch and valve clearance. The replacement of normal wear parts, including without limitation, bulbs, headlamp assy including projector headlamp / tail lamp / fog lamp assembly, battery, tyres, tubes, spark plugs, brake discs, brake shoes, brake pads. Internal parts of brake master cylinder & wheel cylinder, belts, hoses, filters (air / fuel/ oil / AC) with or without sensors, wiper arms/ wiper blades and brushes. Any seals and Gasket replaced or refitted as part of normal-schedules. Clutch disc, clutch pressure plate, clutch release bearing, radiator, catalytic converter, muffler, AC gas leakages and differential backlash under any circumstances. Replacement of timing belts as per recommended interval. Trims, wheel rim, wheel alloys, rubber & plastic parts, glass machine, all body parts including door regulators, glass run, seat fabrics, roof lining, gear knob, steering wheel logo, all emblems, cup holder, door weather strips etc. Any repair or replacement required as a result of accident or collision, misuse, abuse, theft, flooding or fire. Paintwork, bodywork and mouldings, water entry into the vehicle, corrosion of body parts, glass, Mirrors (inner & outer), lock cylinder & key & interior trims. Humming noise in any component. 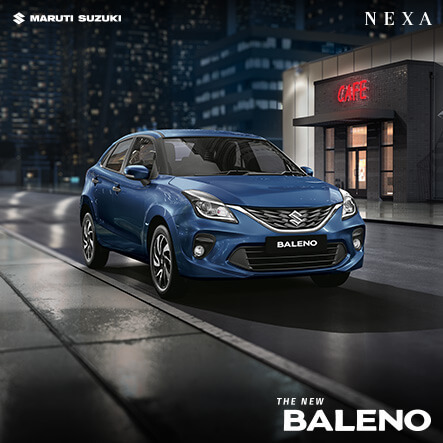 Note: Maruti Suzuki reserves the right, at its discretion to change, modify, add or remove portions of these terms at its sole discretion at any time. Please check these terms periodically for changes. Maruti Suzuki assumes no responsibility for loss of vehicle, loss of time, inconvenience or any other indirect incidental or consequential damage resulting from the vehicle not being available to the owner because of any defect covered by this extended warranty. Immediately take all steps necessary to minimize the extent of loss. 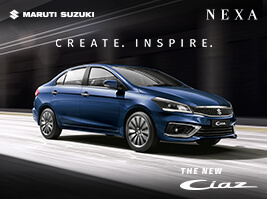 Depending on whether the vehicle is in a condition enabling it to be driven, the owner shall drive it or have it towed, without delay, to the nearest Maruti Suzuki Dealer at his own cost to effect repair according to the dealer/ Maruti Suzuki’s requirements and to notify the dealer of this warranty contract number. Authorized the dealer to establish the cause of breakdown. Undertake to pay the cost of dismantling and repairing the vehicle if the cause of the breakdown is not covered by this warranty. The owner is responsible for paying for any other work that the owner asks the repairer to carry out. The service record and service bills must be made available to the workshop personnel. The vehicle must have been serviced as per guidelines in the service manual from authorized dealer/ Maruti Suzuki authorized service station. Make certain the extended warranty registration was completed at the time of applying for extended warranty. Present the Maruti Suzuki Owner’s Manual and Service Booklet” to the authorized Maruti Suzuki dealer whenever requesting service inspections or warranty service. If the “Owner’s Manual and Service Booklet” should be lost or destroyed, the owner should consult the authorized Maruti Suzuki dealer from whom the vehicle was purchased for instruction concerning replacement of the “Owner’s manual and the Service Booklet”. Failure to comply with these formalities and conditions may lead to a refusal to accept the claim. Any Extended Warranty if required to be cancelled, can be done till the vehicle is under primary warranty by Extended Warranty selling dealer. There will be an administrative fees of Rs 200/- or 10% of Extended Warranty basic price (whichever is higher) for policy cancellation. Also, tax amount collected during Extended Warranty will not be refunded. Any converted policy (Gold to Platinum, Royal Platinum or Platinum to Royal Platinum) will not be cancelled under any circumstances.